In the latest move to sanction a Greek organization, Cal Poly in San Luis Obispo revoked its recognition of a fraternity chapter for two years as punishment for forcing underage pledges to drink alcohol and do push-ups. The Cal Poly chapter of Tau Kappa Epsilon broke state laws and violated campus policies on alcohol, hazing, conspiring to haze, disorderly behavior and health and safety, according to the university. Fraternity members also forced underage pledges to drink alcohol and do push-ups at chapter-funded events, university officials say. Tau Kappa Epsilon will be eligible to apply for reinstatement to the campus community for winter quarter 2021. In the meantime, however, the university is requesting that the local chapter of the fraternity cease operations over the two year-period in which its recognition is revoked. Likewise, Cal Poly officials are requesting the national Tau Kapp Epsilon headquarters revoke recognition of its Cal Poly chapter. A total of eight Cal Poly fraternities are currently under sanctions, according to the university website. One other fraternity is currently under investigation. Like Tau Kappa Epsilon, Lambda Phi Epsilon had its recognition revoked for a two-year period. Lambda Phi Epsilon could return to the campus community in fall 2020. 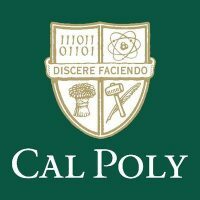 Earlier this year, Cal Poly placed two fraternities on suspension for the remainder of 2018-2019. Both Kappa Sigma and Sigma Pi committed offenses related to underage drinking. Kappa Sigma was also punished for requiring pledges to do push-ups. Four more fraternities are currently on probation or social probation. Last month, the university suspended its varsity track team for seven meets because some senior team members hazed recruits. The hazing consisted of senior athletes providing alcohol to underage team members, forced drinking and a scavenger hunt that included sexually explicit items.